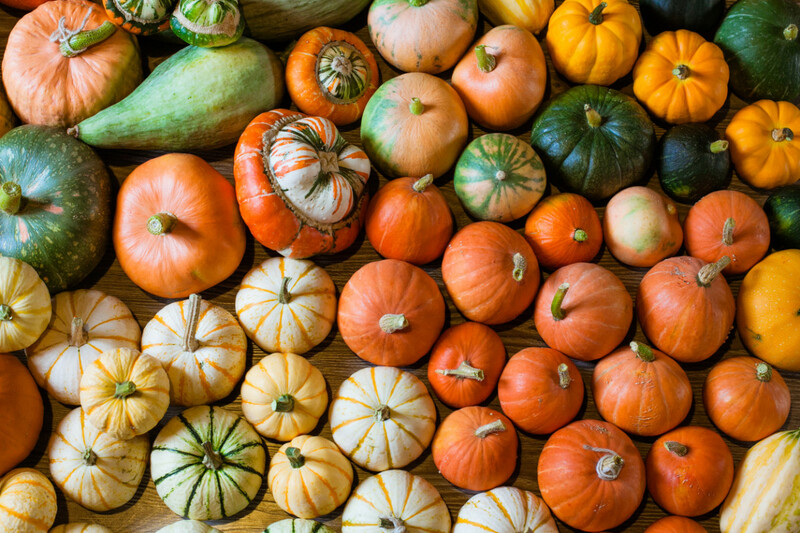 From acorn squash to kabocha, winter squash varieties are some of the most versatile, hearty, and delicious seasonal eats out there. Boasting tons of flavor and endless preparation methods, winter squash are nutritious fruits (yep!) to nosh on all winter long. 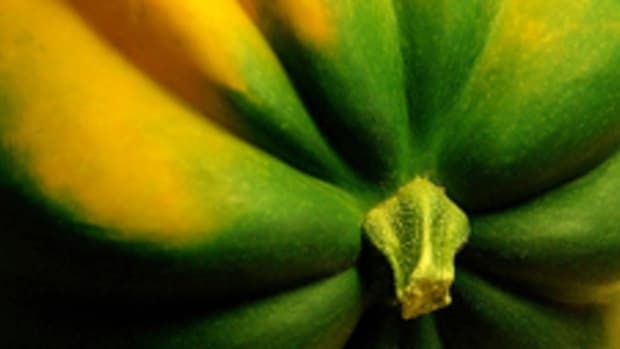 Unlike soft skinned summer squash, winter squash have hard, protective skins, which makes them perfect for storing throughout the winter months. Harvested in the fall, winter squash are named as such because they can be consumed throughout the winter once properly stored – somewhere dark and cold, FYI. 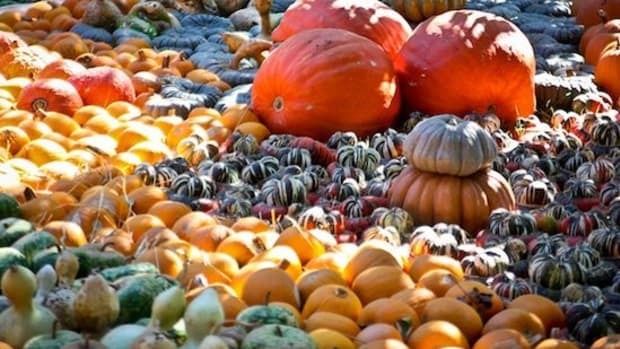 There are numerous winter squash types grown all over the world, some of which can weigh upwards of 200 pounds once fully grown. For squash that grow in your area, head to local farmers markets, grocery stores, or farm stands and CSAs. All varieties of winter squash are packed with vitamins and minerals including vitamins A, C, B6, B2, folate, magnesium, potassium, and iron. They are also great sources of both insoluble and soluble fiber, both of which are necessary for optimal digestive functioning, lowering the amount of cholesterol in the blood, and keeping things regular. 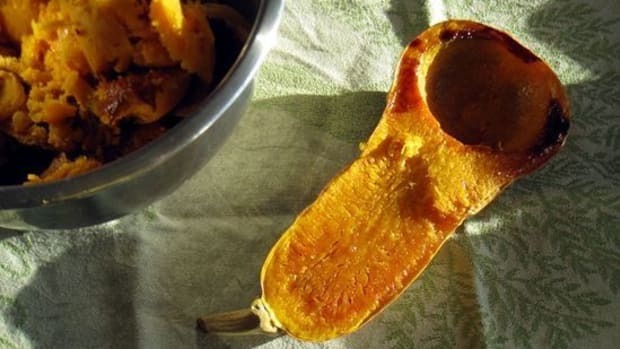 Just one cup of cooked acorn squash provides roughly six grams of dietary fiber, for example. Winter squash are rich sources of antioxidants, compounds that help to reduce free radical oxidation and protect cells. Beta-carotene, an antioxidant found in winter squash, is noted to promote immune system function, protect skin and eye health, and fight inflammation. 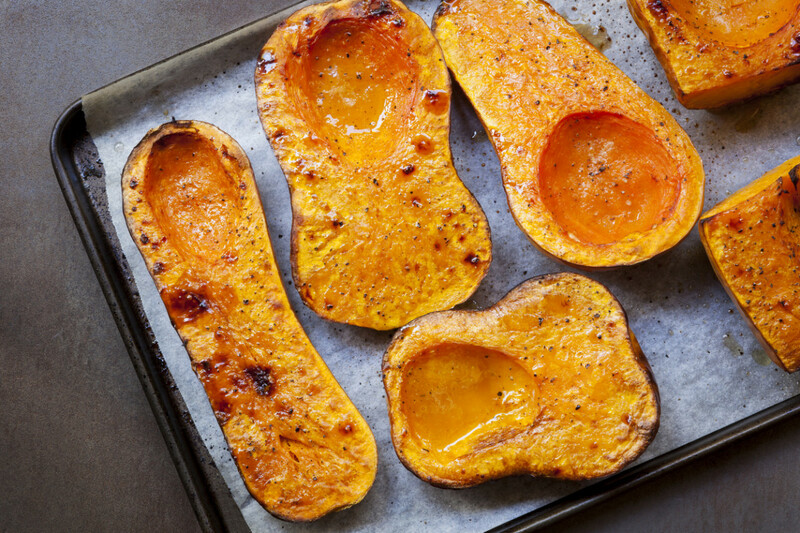 Here are five winter squash types you need in your life, plus our favorite ways to eat them. With a hardy acorn-shaped green exterior and vibrant yellow flesh, acorn squash is a delectable squash staple. Acorn squash has a nutty, yet mild flavor with creamy flesh. The skin of acorn squash can be consumed, too. Choose acorn squash with smooth and firm skin that feel heavy for their size. Unlike other varieties of winter squash, acorn squash among the most perishable, and only last about a month in cold storage. Acorn squash can be chopped and roasted or cooked in large chunks or halves. 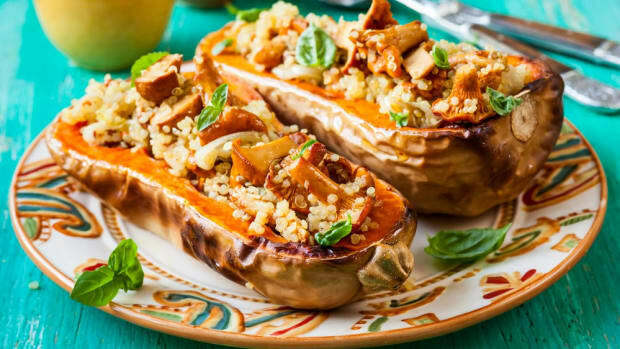 Many delicious recipes, like this vegan walnut-stuffed squash, bake ingredients into the squash. This roasted, stuffed acorn squash with farro, fennel, and feta is another delicious dinner. A winter squash staple, butternut squash is beloved for a reason. With creamy and vibrant yellow flesh, butternut squash tastes nutty with a sweet caramel flavor. Choose butternut squash without bruises or blemishes that feels heavy for its size. Skin should be creamy, pale, and free of soft spots. Butternut squash skin is inedible and must be peeled off. 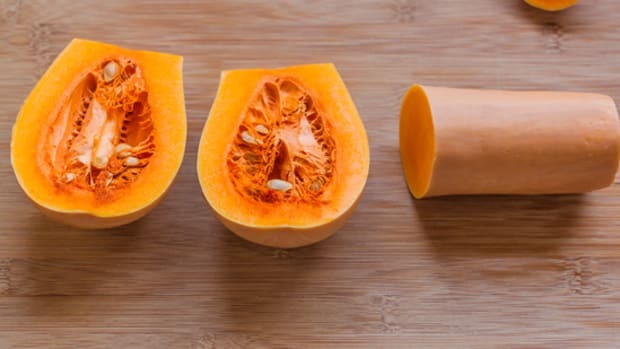 Once peeled, roast butternut squash in chunks to add to oatmeal, soups, chili, or grain salads. Roasted butternut squash is also delectable in soups, like this curried butternut squash soup. Even better, turn butternut squash puree into pie or a sweet treat. 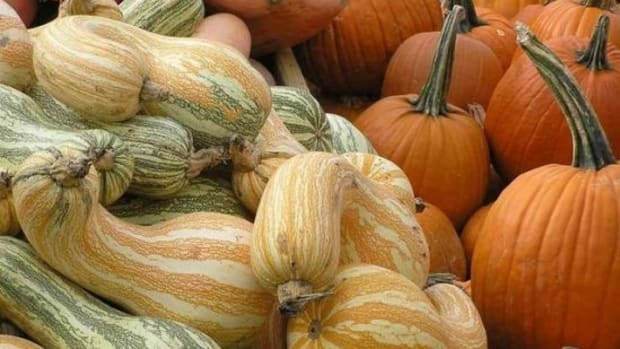 Delicata squash is another winter squash favorite. With edible skin and a sweet potato-like mild taste, this winter squash can be used in practically every meal of the day. 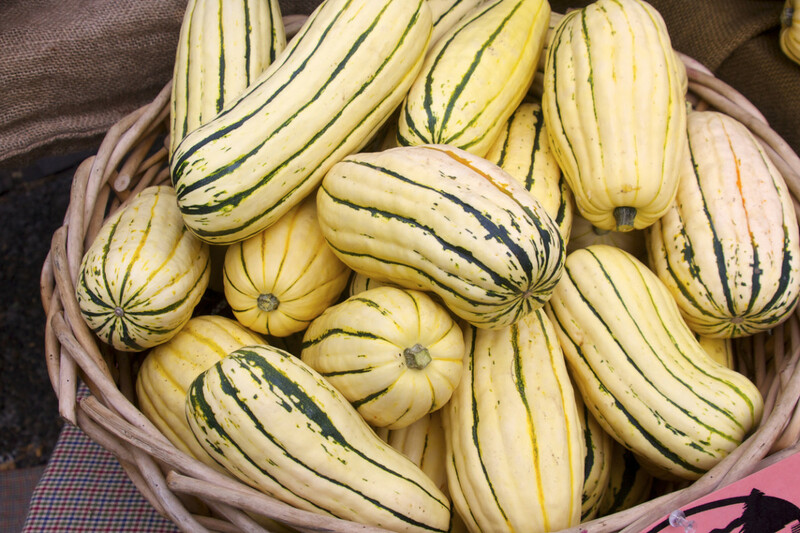 Select delicata squash that are heavy for their size without soft spots or bruises. 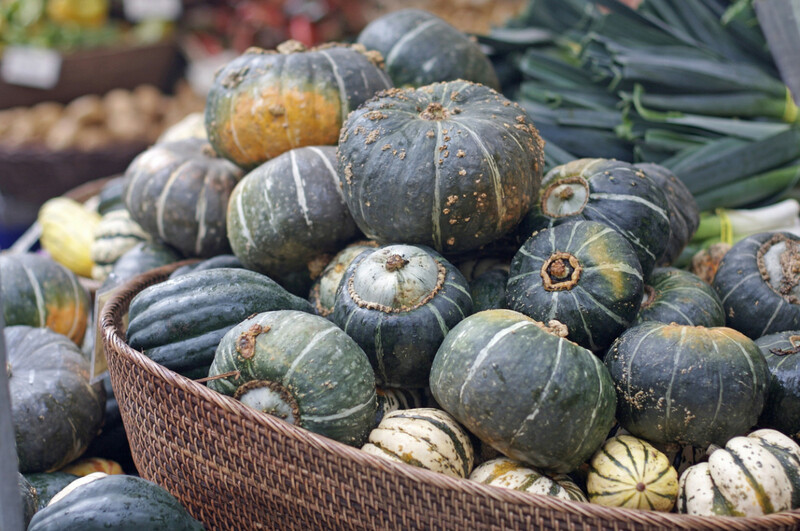 These oval-shaped squash can have cream to yellow-colored skin with orange or green stripes. Cut winter squash vertically and remove its seeds. Slice delicata squash into half moon shapes and roast away; these roasted pieces can be added to everything. Delicata squash are also delicious when baked and stuffed or added to chicken, orzo, and sage soup. 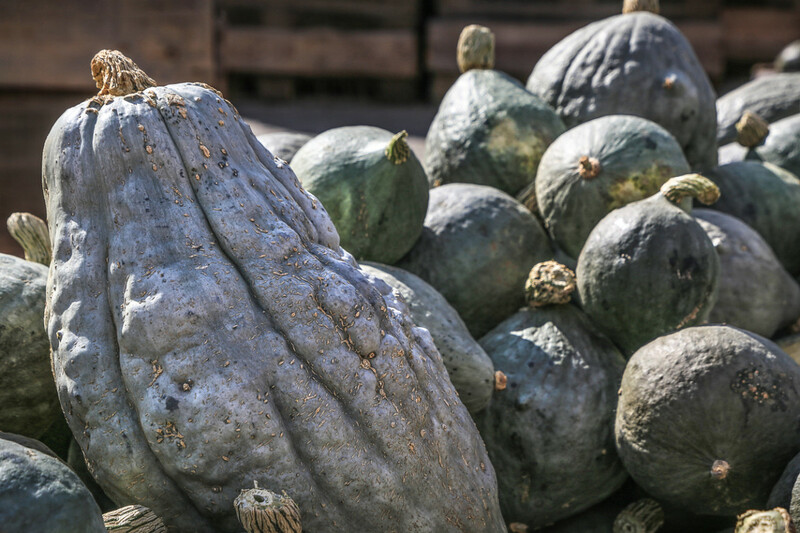 Resembling a large, grey and bluish pumpkin, hubbard squash are some of the biggest winter squash varieties. Due to their large size, hubbard squash can be difficult to break down and process, but the tasty reward is certainly worth it. 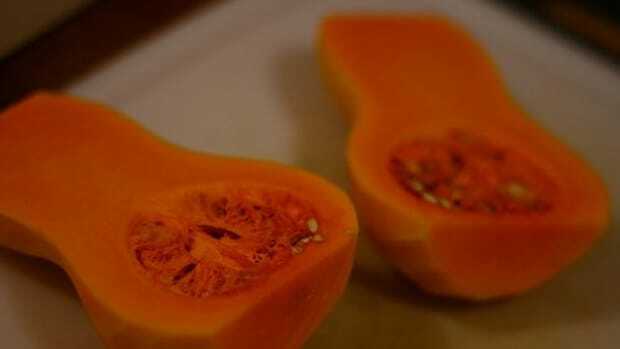 Choose hubbard squash without bruises or soft spots. Whole hubbard squash can be found at the farmers market or grocery store, or it can be found cut and seeded. Hubbard squash have sweet flesh that resembles pumpkin, making them excellent choices for pie and winter squash chocolate cake. 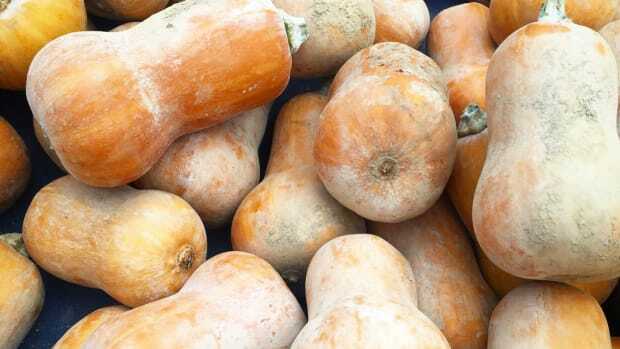 This variety of squash is delicious roasted with a sprinkle of sea salt and cinnamon, pureed into soups, and added to salads and grain bowls. Resembling a small orange-yellow pumpkin, kabocha squash is a nutty and sweet winter squash suitable for so many recipes. 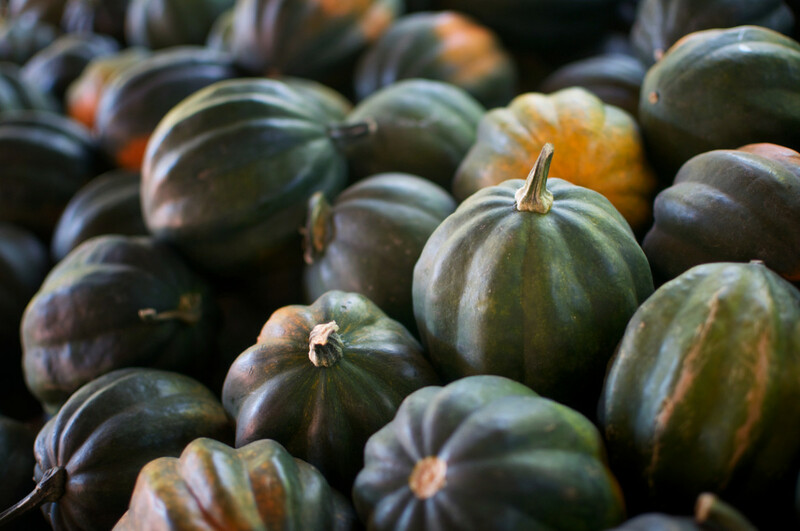 Choose kabocha squash without any bruising or soft spots with dull, not shiny skin. Like acorn squash, kabocha have a shorter storage life, and will keep for about a month in a cold, dark place. Kabocha squash is a delicious addition to curries, like this vegan Thai curry with coconut, and soups and stews. Like other winter squash varieties, kabocha squash can be roasted, steamed, and pureed and added to practically everything.